Fat tails and geopolitical risk - Why should you care? It may seem that the world is gripped by terrorism, but there is a school of researchers who suggest that the world has gotten more peaceful and that violence is trending down. There certainly has been something of a "Long Peace" with no world conflicts in more than 70 years, yet it may be hard to draw conclusions on whether the trend is toward non-violence. Leave it to Nassim Taleb and his co-ahtor Pasquale Cirillo to provide some useful perspective on this issue with a math foundation. 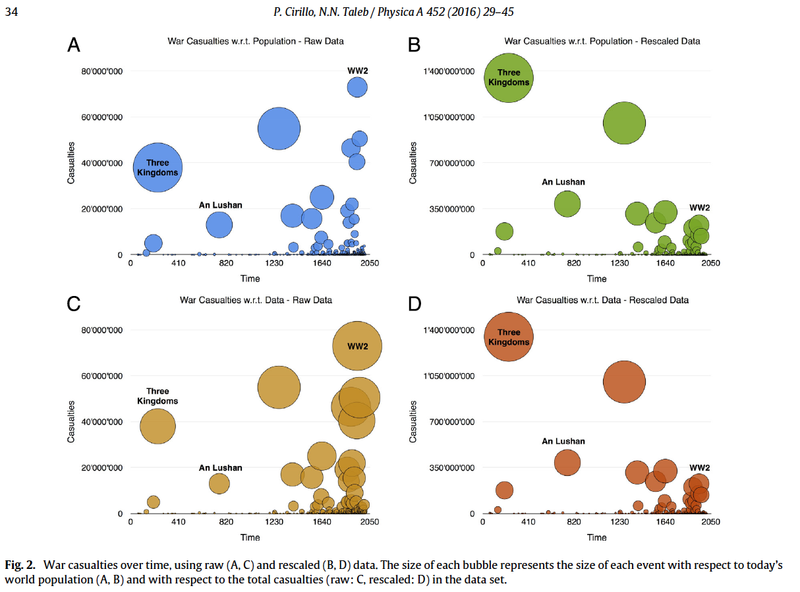 Employing the tools of extreme value mathematics with fat-tails distributions the authors provide some much needed analysis on this critical research topic. Their conclusion is that we just do not have enough data to draw any conclusions on the trends in violence around the world. It is fine to be hopeful, but there is little evidence to support a good news story. See their working paper, "What are the chance of a third world war?" 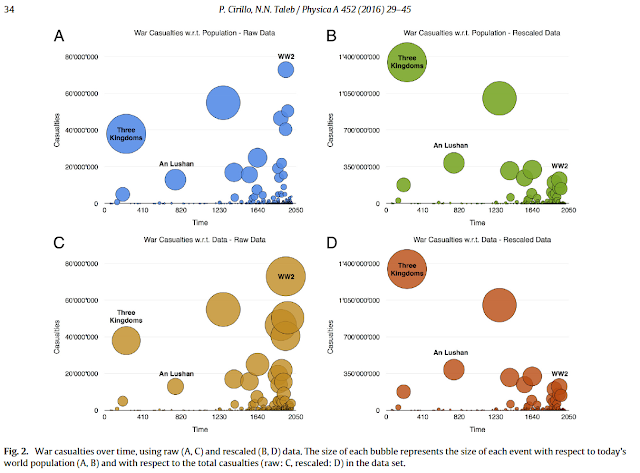 and their paper "On the statistical properties and the tail risk of violent conflicts" in Physica A.
Ins simple terms, the tails of the distribution drive the mean and with fat-tails it is hard to make generalizations. You need more data to assert there is no black swan than to assert there is a black swan and the data are too inclusive to make any broad statements. The second paper which focuses on the math behind the fat-tailed problem of violence shows that without too much work, you can find that there is little support for any conclusions about the trends in violence. No investor should get comfortable with any talking head about trends in violence or a chance of a major war. It is all idle speculation that may give people a false sense of calm. Similarly, we cannot say that the world is getting worse. There is not enough evidence for either case.Tail events are likely and do occur which ensure that any general conclusions are bankrupt. Don't go out and become a survivalist but a realist will say that bad outcomes are possible regardless of the sophistication of society and portfolio structures should include the chance for extreme dislocations. A precautionary principle suggests that you should prepare for rare negative events. The market reaction to Fed Chairman Yellen's speech has been asset price positive although it is likely that few have read the text. The key market issue is determining what is the Fed's reaction function. 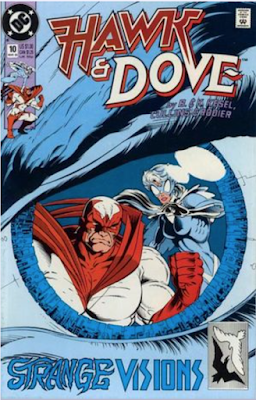 This discussion has all too often devolved into a simple model of dove versus hawk. In reality, we have to think about three competing models of Fed behavior, time-dependent, data-dependent, and market-dependent. The emphasis of one model over another is a function of Fed communication and market perception. During the zero bound period, the focus was on time-dpendent communication. 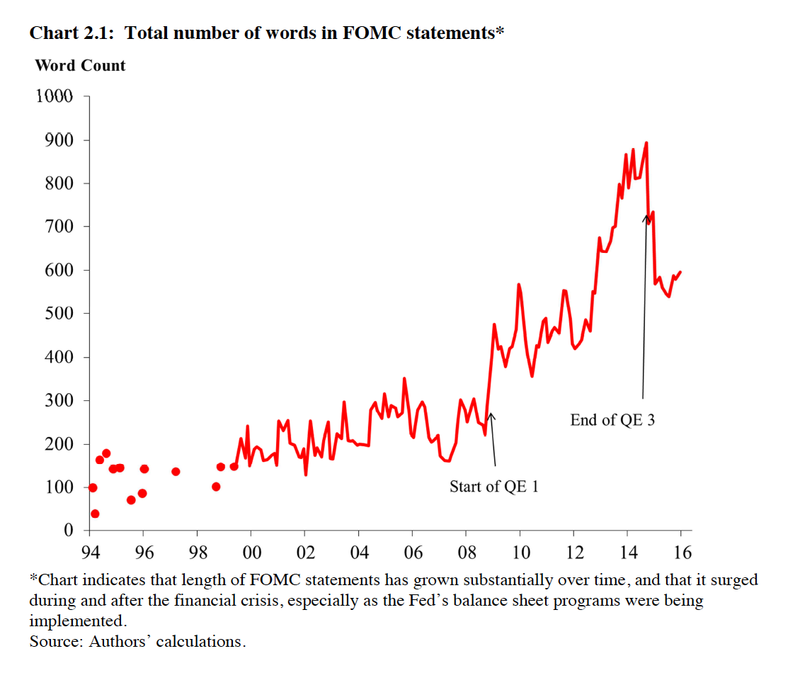 The Fed communicated that action was in the future and was not focused on the immediate data. The data-dependent Fed focuses on what is happening with growth and inflation. The Fed is moving in the direction of being more data-dependent. Yellen discusses a third reaction function which is market dependent. Delays in policy have been a function of external forces like China, the stock market, and oil prices. If these forces are disruptive, the Fed will err on the side of prudence relative to a data-dependent reaction. Being market-based can help temper and control market expectations. In a previous world, think of the Greenspan or Bernanke put. 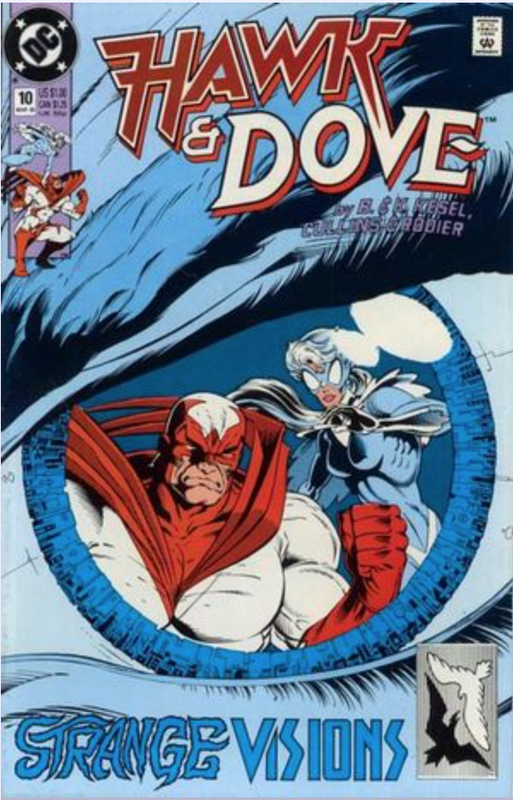 Forget dove or hawk and think of the type of Fed dependency. The problem has been during periods of transition between time-dependent and data-dependent reaction while markets have received a external shock. Perhaps we are moving to a new period of clarity. The Fed wants to control expectations and show the markets that it is aware of the environment under which policy is implemented. 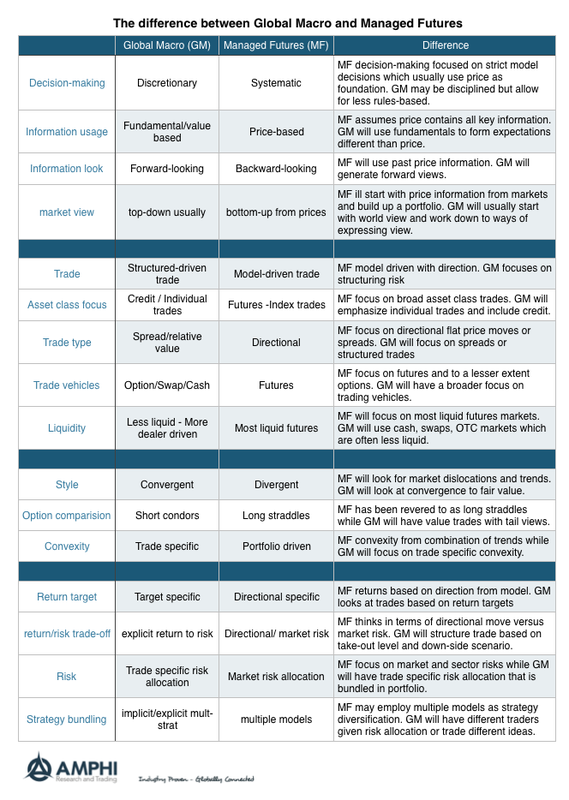 Is there a difference between global macro and managed futures hedge fund styles? Many investors lump the two of these strategies together. Clearly, the investor's objective of holding global macro and managed futures are the same. Investors want to get a unique return stream that is uncorrelated with major asset classes. More importantly, investors want that low correlation to come at the right time - the "bad times" for equities. This is the crisis beta that has been written about for managed futures and to a lesser extent global macro. While the expected result for each is supposed to be the same, each strategy will generate returns in avery different fashion. Good global macro managers are able to generate high stand alone returns or alpha. Good managed futures managers are able to provide more diversification at extremes, but at the cost of lower stand alone returns. 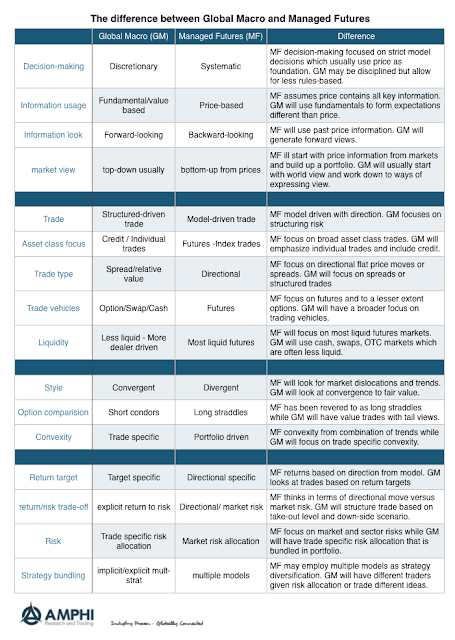 We have listed sixteen differences between a managed futures and global macro manager. 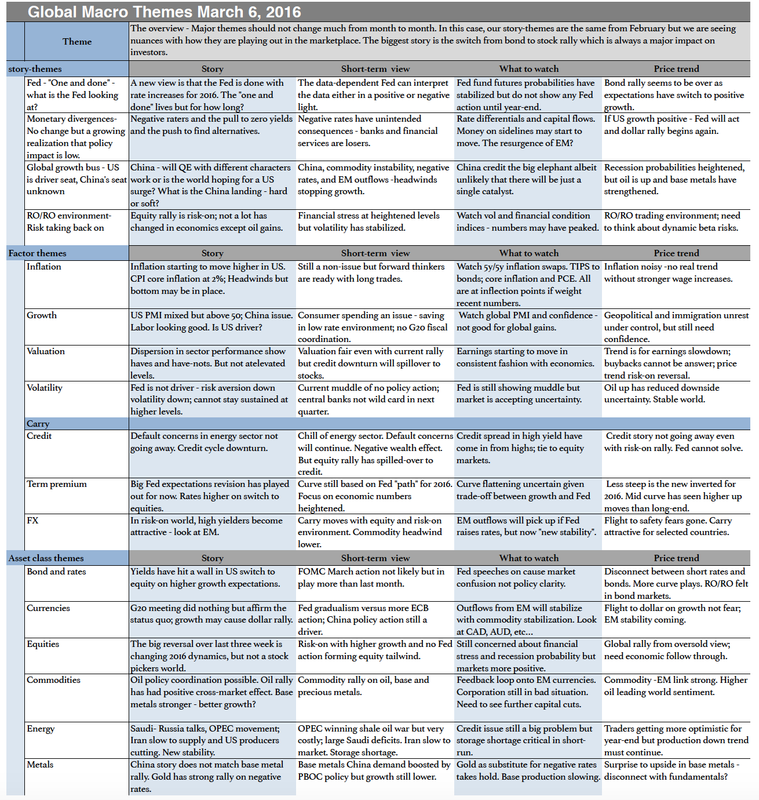 Now, this breakdown may not apply in all cases, but we believe this is a good first pass for any discussion of the difference between the two hedge fund strategies. We have also broken the difference in a four categories. 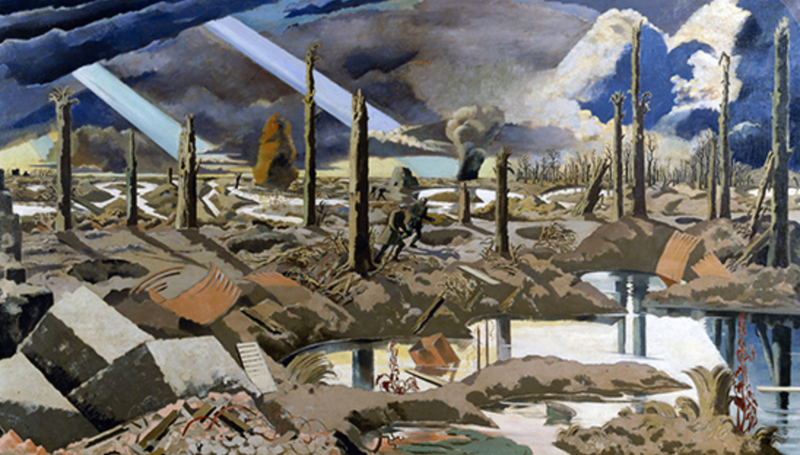 The first category is associated with the use of information. Managed futures will usually be systematic in its decision making while global macro will usually follow a discretionary approach. Discretion can be very disciplined, but it is not usually machine-based. Managed futures will usually be price-based while the global macro manager will use fundamental information and be value-based. The managed futures manager who is price-based will be backward-looking because the focus is normally on the trend. The global macro manager will be forward-looking because he is trying to determine where prices are headed. The managed futures will start from prices and then build a portfolio. The global macro manager is more likely to describe the macro environment through a set of themes and is hence top-down with the expression of trades based on situations and relative value. There will be a difference in the type of trades that are taken. Managed futures will be model driven while the global macro manager will structure trades across markets or in swaps or options. Managed futures will focus on liquid futures markets while the macro manager is willing to look at credit and less liquid trades in an array of derivatives. Managed futures will generally be more directional in its approach while macro managers are willing to focus on relative value and spreads across markets. The style of trading will be different. Managed futures will inherently be divergent in its style because it is exploiting trends. The macro trader will be more interested in relative value and mis-pricing and will have a greater focus on convergence trades. The managed futures manager will create positive convexity with the overall exposure of the portfolio. A trend-following is willing to hold market positions longer and cut loses through stop orders. The macro trader will form convexity on a trade basis by setting downside cut-offs or using option to sculpt returns. The return targets for managed futures is often ambiguous because returns are based on extended directional moves and not specific price targets. The macro manager will think and talk about return to risk ratios and specific return targets on a trade. Risk for the macro manager is trade specific while the risks for the managed futures manager is specific to market volatility. Precise knowledge is gained through categorization. If we can identify the characteristics of a strategy, we can then determine its uniqueness and true value-added. Global macro is a very broad hedge fund category which does not lend itself to easy descriptions. Nevertheless, we can take a simple stab and divide global macro into top-down and bottom-up approaches. 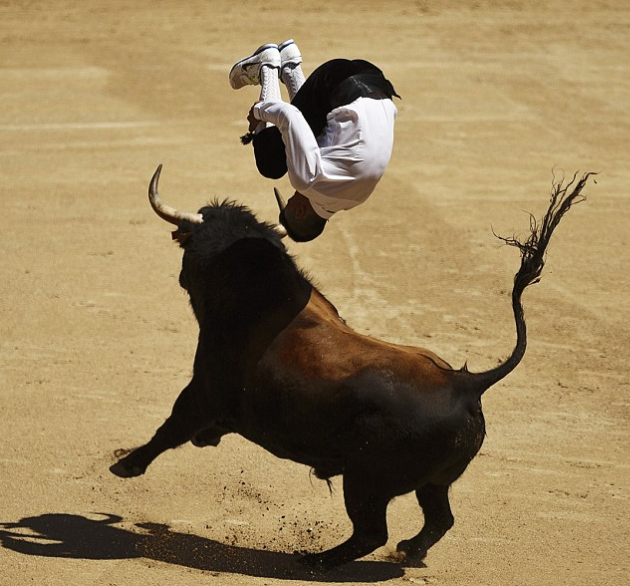 This is a variation of how many stock-pickers behave but reset to a global macro environment. The distinction is important because the return and risk profiles should be different based on the approach taken. We don't want to make a value judgement about which is better other than to say that each will generate a different return pattern. The top-down approach approach tries to exploit buying (selling) cheap (rich) beta. The bottom-up approach is looking for alpha opportunities across a global set of markets. The top-down global macro manager will focus on major themes in markets and look to take directional bets on the market. Are European stocks cheap relative to the US? Is inflation rising? Will the Fed raise rates? These can be exploited in the futures markets as directional bets. The portfolio will be a combination of long and short beta bets base don macro factors in liquid market that have easily identifiable risk premiums. 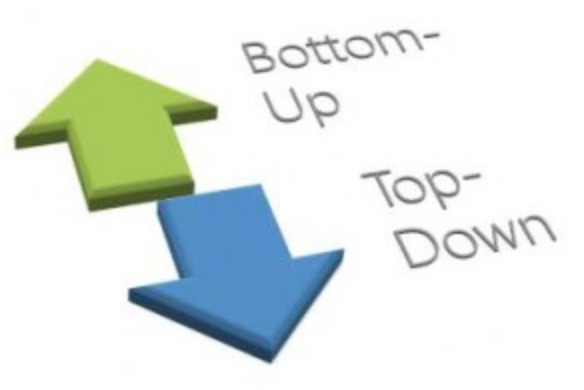 The bottom up approach may have a macro view but will be looking for market dislocations or mispricings to exploit. A fall in energy prices may effect the Canadian banks. A rise in rates may have a big impact on levered loans. A macro theme may be identified but the manner the risk is taken is micro structured around specific controlled opportunities.The portfolio bets are combination of macro themes expressed through assets that may be mis-priced. The return to risk profile is sculpted and focused on specific opportunities. The top-down manager is trying to exploit beta opportunities while the bottom-up manager is focused on finding or creating alpha opportunities across global markets. Put another way, the top-down manager is trying to exploit dynamic beta opportunities. By changing the risk profile of the portfolio, the manager expects to generate a higher return than a globally diversified portfolio. 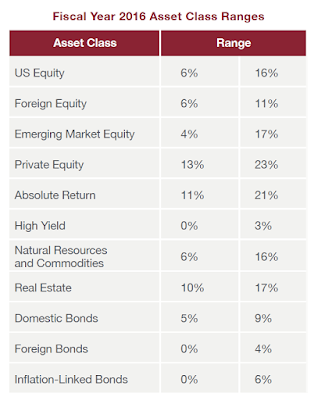 There are risk premiums across global asset classes. The top-down manager tries to forecast the direction and relative value of these premiums because they they are time varying. The business cycle, the credit cycle, or liquidity cycle all change risk premium so an astute macro manager will change exposures to exploit these changes with higher compensation to risk. In the simplest form, this could be a trend-follower who is exploiting momentum across asset classes. A more sophisticated form will be using option strategies to change limit downside risk. The bottom-up global macro manager is not focused on trends in risk premiums across asset classes, but focused on using the global macro environment to find opportunities of mis-pricing across asset classes. Is the yield curve fully pricing in Fed action and are there points along the curve that can be exploited cheaply. There will be a set of micro-bets that may not be correlated with macro price moves in asset classes but will depend on some change in the macro environment. Now, let's be clear, we have outline the extremes of macro investing. In many cases, there is will be global macro managers who combine both searching for alpha opportunities will export changes is risk premiums. Nevertheless, it is good to start with a simple classification scheme to start a global macro discussion. A newly published research piece studied out of sample and post publication return predictability for a number of variables that have been shown to predict cross-sectional stock returns. They ran tests over 97 relevant variables. 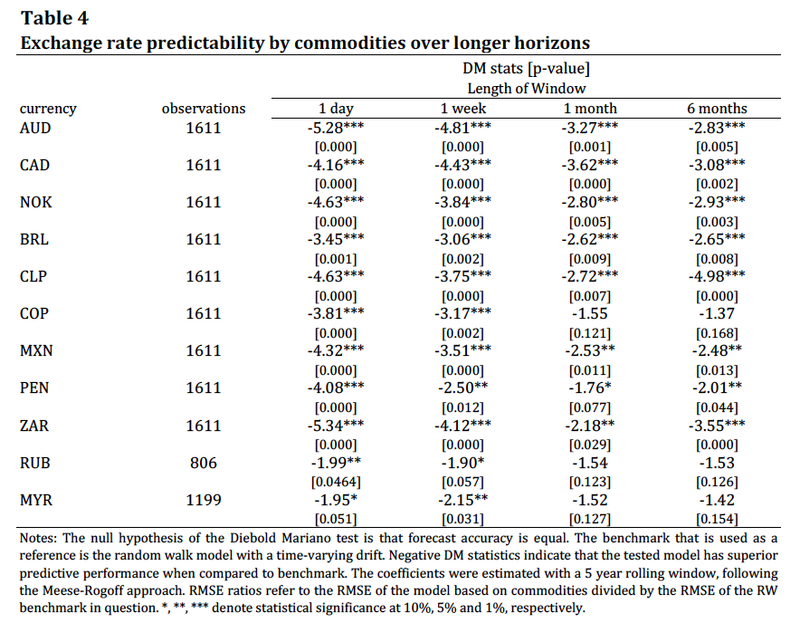 The researchers found that most variables show declines in expected returns out of sample. On average, portfolio returns decline by 26% which serves as an upper bound of data mining effects. 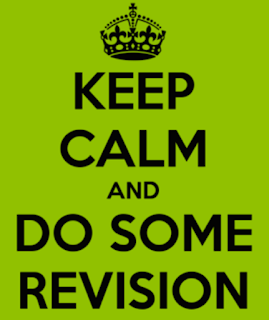 More importantly, the authors find that returns decline 58% post publication of the research on any variable. Assuming that we conservatively take the 26% decline from data mining away, the researchers believe there is a 32% decline in returns from traders who have taken advantage of this research or market mispricing. See "Does Academic Research Destroy Stock Return Predictability?" Traders read the research that is conducted by academics and they exploit any pricing anomalies that are found in the research. After the research is widely disseminated, the excess returns are taken away by the actions of traders. If you read the research that looks good, don't expect to make any of the real money from it. There are plenty of others who are doing the same thing and the opportunity is diminished. Markets are efficient in that if there are identified mispricings, the returns will be significantly bid away. You cannot get a free lunch from piggy-backing on the research of academics. 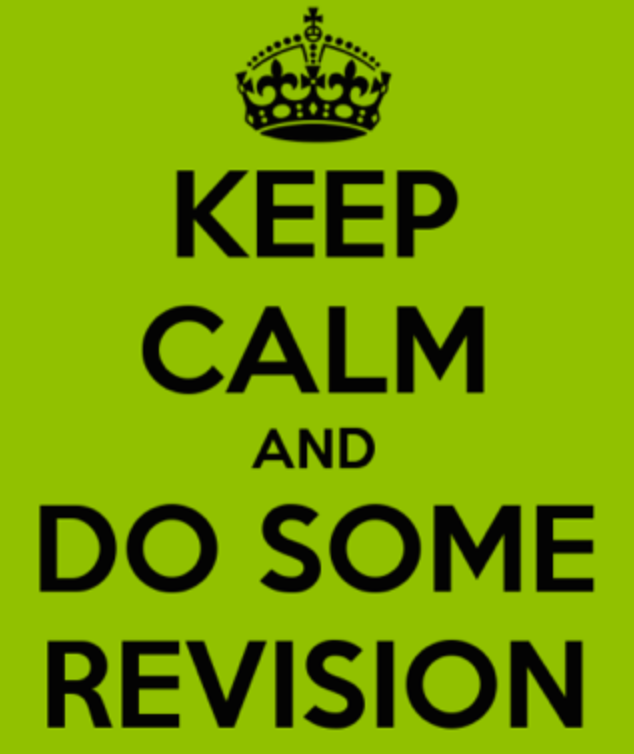 If you read academic research, read it early in the process. By the time it gets published it is old news. In some sense this is not surprising. By the time you read news in the Wall Street Journal, it may already be old news. Sorry folks, you will have to do your own research and keep it to yourself. There is a long tradition of believing that exchange rates cannot be forecast with economic fundamentals. The power of fundamental models to beat a random walk always been poor albeit trend and carry models have proven to be successful. 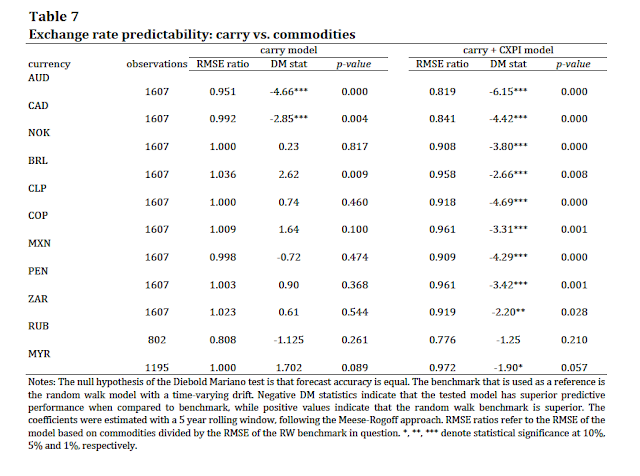 A new research paper from the BIS, "When the walk is not random: commodity prices and exchange rates", suggests that currencies that are highly tied to commodity exports do not follow a random walk but are closely tied to the market prices of their exports. There have been researchers who have tried to look at commodity prices and currencies but have not done the careful work of creating country-specific indices that reflect their exports and thus their terms of trade. When country specific indices are created there is a forecasting link at short-term horizons that extend out to two months. You can track these export weighted commodity price indices and be able to do better than a random walk. 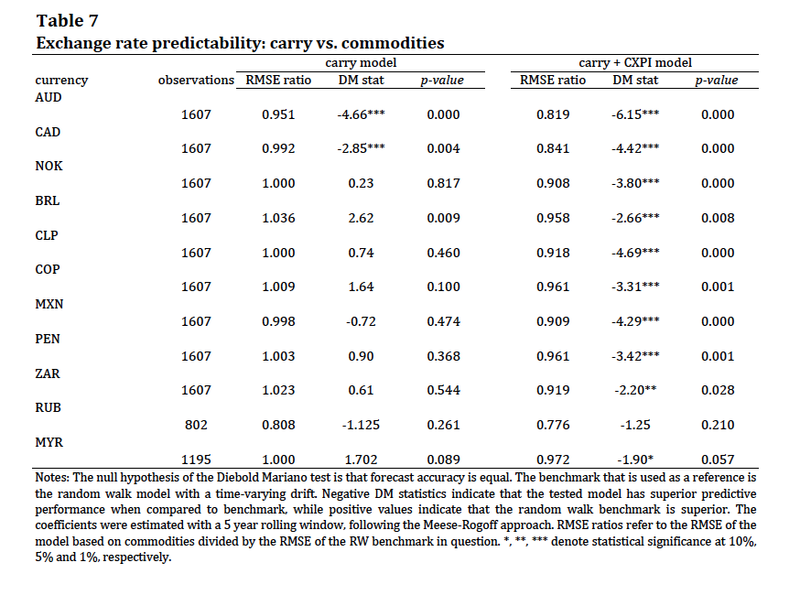 More importantly, these forecasts do better than a carry model, a model that has exchange rate drift, or a model that focuses on risk appetites through the VIX index. Commodities are unique driver to currencies and the researchers show that the direction moves from commodities to currencies and not the reverse. 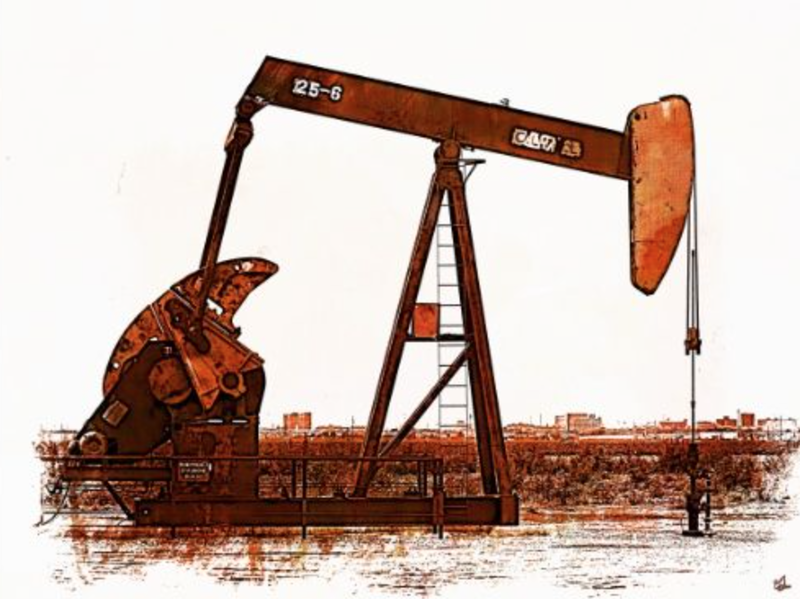 Oil exporting countries have their currencies tied to commodity price moves. Base metals or agricultural prices also influence currencies of those countries that have large exports related to these markets. The upheaval we have seen in currency markets is not some currency war or just an issue of rates and capital flows. 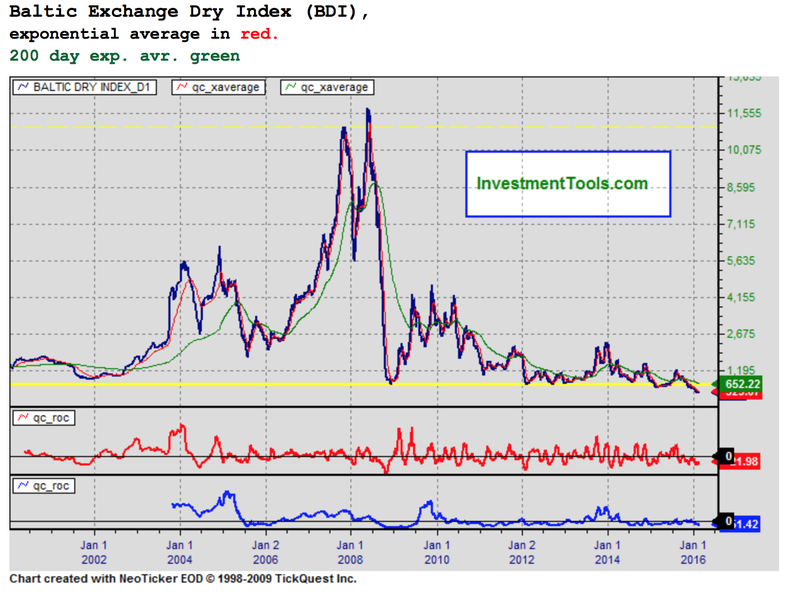 It is also a response to the shock to commodities that we have seen with the end of the super-cycle. Now this may seem obvious to many traders, but the key to this paper is the focus on country specific indices. If you get the export weighting right, you have a good forecasting tool. 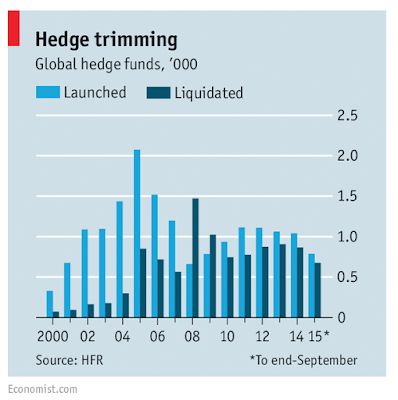 The growth of money flows to hedge funds continues. The recently released Deutsche Bank (DB) hedge fund survey states that assets under management will increase about 7% in 2016 and 39% of their survey respondents say that they will increase allocations. However must investors expect to decrease the number of hedge funds they hold. There is a move to fewer managers which means there will be further fall-out with smaller hedge funds. Each manager will get a bigger allocation but there will be fewer winning mandates. If a hedge fund cannot gain scale, it is game over. Even though there are greater asset flows, investors do not expect big returns. Only 14% of respondents target a return of 10% or higher. More money is moving into hedge funds, but investors are expecting less from these managers. 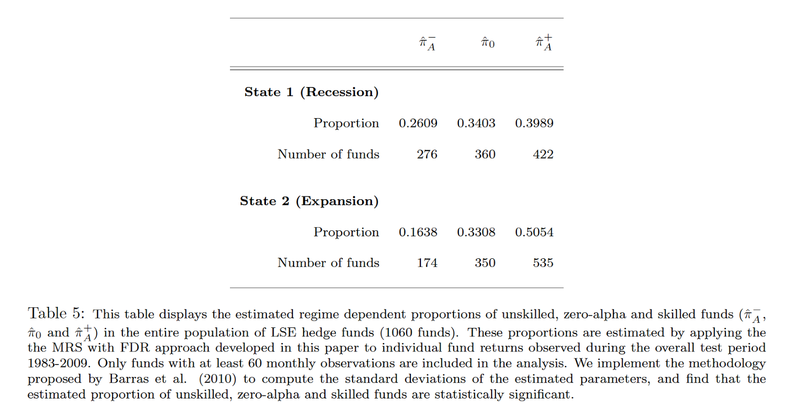 Although they are expecting less, there still is a wide distribution of returns. The survey suggests that the spread between the top managers and the those that underperform is getting wider. Money is moving to hedge funds but you have to perform in a competitive environment and expect that any investor will hold fewer managers but watch those managers more closing. There will be less taking of a flier on a new manager. 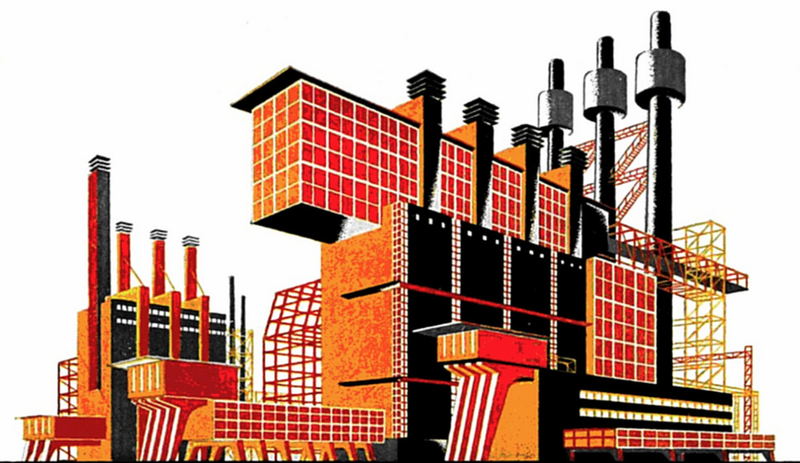 The business is becoming industrial. To gain the attention of investors, hedge funds cannot just match the indices of their peers. The will have to meet strict due diligence standards and perform to get noticed. One of the confusions with monetary policy is determining the intentions of the central bank. With some many talking heads form the Fed, it is hard to determine what is the message that is being conveyed. In more formal terms, investors need to know the Fed's reaction function or how it will respond to different economic scenarios. If there is not a well-defined reaction function, there will be confusion. At one extreme would be a central bank that is completely rules-based. There will be no room to maneuver and the reaction function would be clear for everyone. There would not be any need for speeches. At the other extreme would be a Fed that does not communicate any intentions or communicates regularly but in a inconsistent manner. A variation on this theme would be a Fed that does to have creditability. One of the current keys to central bank communication has been the idea of "forward guidance" or the use of communication to provide the market with its intentions in order to change expectations. Nevertheless, communication without a clear reaction function will lead to market confusion. 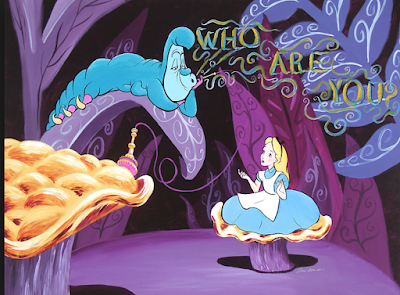 We believe that there are a number of descriptions for who the Fed is trying to be. These are sometimes in the form a metaphor for their behavior. 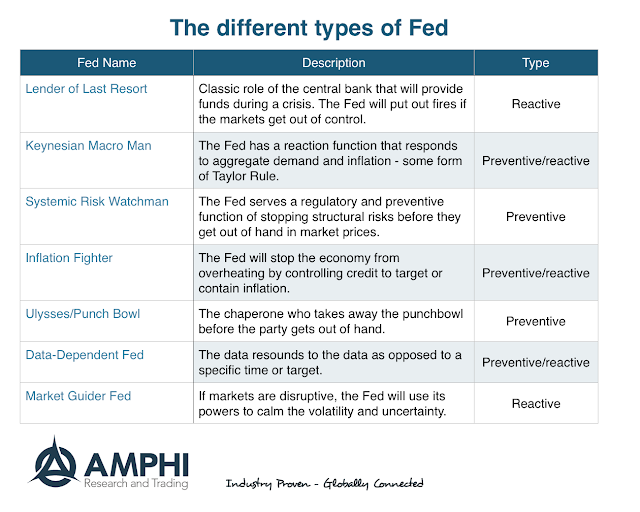 Unfortunately, the description of the Fed at different times may be in conflict. Hence, it is not clear what their behavior will be at any particular time when there are multiple descriptors. There is the lender of last resort as a fundamental Fed type. It represents reactive behavior that tries to provide liquidity at the right time. At the extreme, it could be a Greenspan or Bernanke put that has the Fed always providing liquidity when there is some market fall-out. 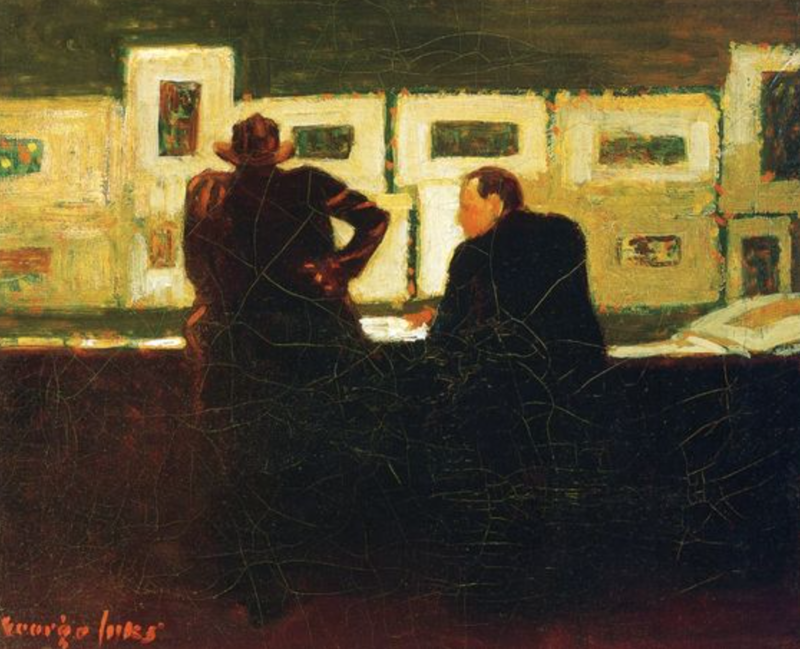 The opposite is the Ulysses/Punch Bowl Fed that tries to take away liquidity before the "party gets started". There is also the "Keynesian Man" Fed as engineer who tries to adjust policy to meet its dual mandate of price stability and economic growth. The "inflation fighter" Fed is one dimensional but has often been viewed as the key role of the Fed. The Post Financial Crisis "watchman" Fed places more weight on the regulatory role and its efforts to dampen systemic risk. This is a new and evolving role. 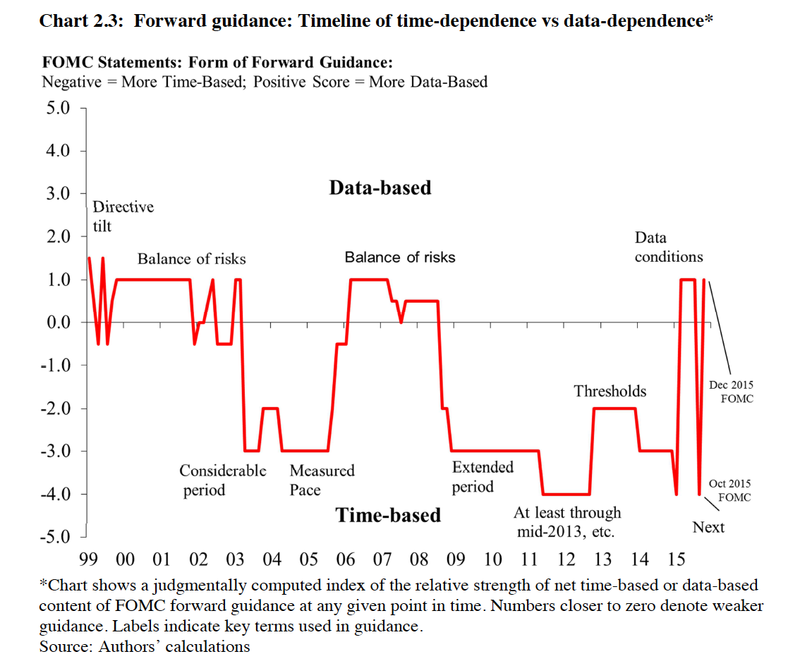 The "data dependent" Fed is a current focus which says the Fed is focused on key variables as opposed to a specific time-dependency on action. There is finally the "market guider" Fed that reacts to market and global events to as a prudent manager. If you have one Fed model to describe its behavior, you will be confused if the Fed is behaving differently. The Fed may not always tell you its behavior so there is risk of not knowing the current personality. We current Fed personality can best be described as evolving. 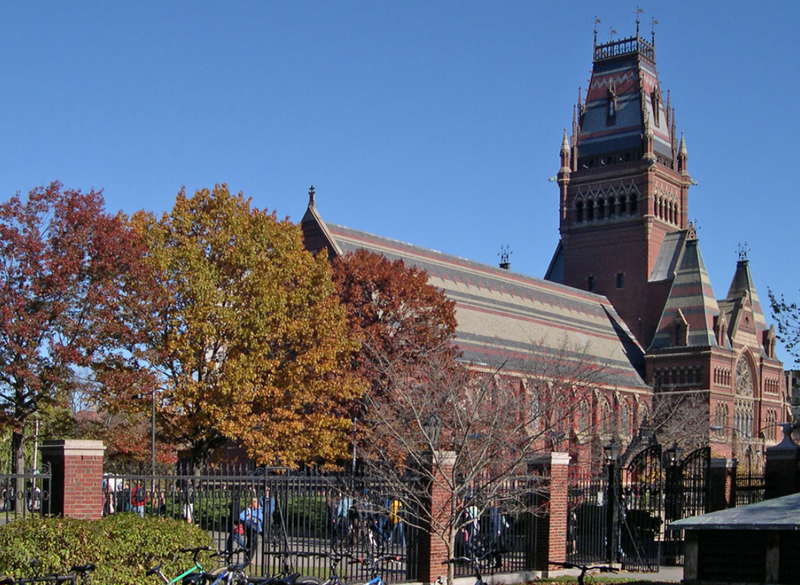 FIFAA - the new Harvard endowment approach - Is this an improvement? The Harvard endowment is restructuring its asset allocation process with a new approach called Flexible Indeterminate Factor-based Asset Allocation (FIFAA). This new approach will try and address the issue that the endowment has underperformed many of its rivals since the Financial Crisis. The question is whether this is going to have a large impact on the thinking of other toward asset allocation like the Yale endowment model. The key idea that your core approach is "Flexible" and "Indeterminate" tells you a lot about how much Harvard wants to be constrained by any view or philosophy concerning asset allocation. The endowment describes it as a process. The allocation process has four steps: 1. Determining the underlying factors that drive performance; 2. Measuring the link between those factors and asset classes; 3. Finding the desired factor exposures; 4. Building a portfolio based on those factor exposures. The factor are said to be flexible but include world equities, US Treasuries, high yield credit, inflation and currency. There is no universal set of factors and there has been discussion of adding liquidity and volatility to this mix. This mix is a fairly straight-forward set of betas for equities, rates, credit, inflation, and currency risks. Each traditional asset class can be measured against the underlying factors. For example, an exposure to credit will also have some exposure to equity, rates, and inflation. These betas can be quantitatively measured from past data with a qualitative overlay based on the impressions of the portfolio managers. The allocation process will then choose the desired factor exposures based on past risks and insights on the future. A simple question would be, for example, "How much inflation exposure should the portfolio have?" From this decision, the endowment will select the asset class allocations that will translate into the desired factor exposures. 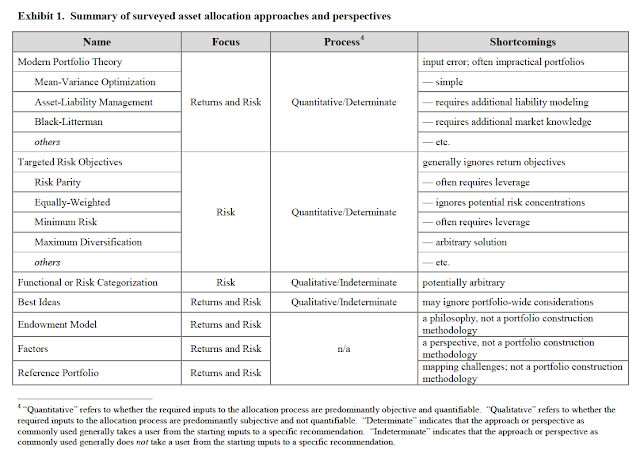 The process attempts to move away from choosing asset classes directly and focusing on the factor exposures. This is a hybrid between traditional asset allocation decision-making and the clear movement to factor-based analysis. The current asset class ranges for fiscal year 2016 are listed below. Is this a better approach to asset allocation? There is a well-defined process of mapping factors to asset classes and discussing what the appropriate exposures should be for the endowment. This is a positive development and makes sense. The question is whether this process allows for too much flexibility and thus becomes ill-defined over time. Can a regular investor implement this approach? This usability is not clear, so it is hard to say whether this approach will filter down to more endowments or to individual investors. It will likely be discussed by many investors and consultants will have to have an opinion on this approach. We should start to see in impact on other endowments in the next year. I did not have a good way of expressing how the Fed should convey information after the lift-off until I read the recent paper, "Language after Lift-off: Fed Communication Away from the Zero Lower Bound" by a group of Wall Street and academic economists with a lot of Fed experience. The current policy confusion about communication is caused by the Fed and the market focusing on "time-dependent" messaging when it should be "data-dependent".This paper is a long but worth the effort. 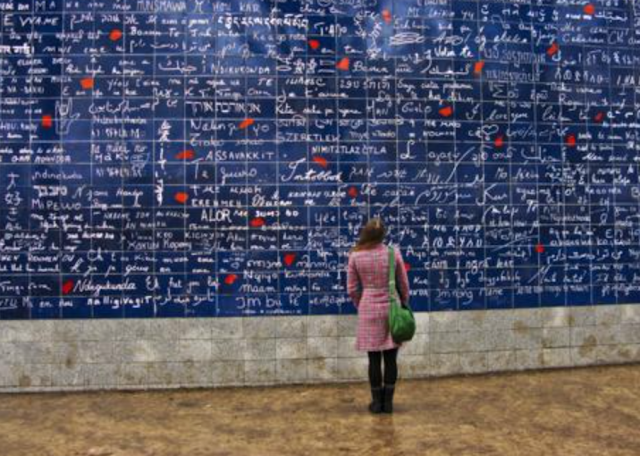 Most can read it quickly, but it is filled with little nuggets of important information. One of the key monetary policy issues is the form of forward guidance by central bankers. This issue has become all the more important in the zero lower bound period especially when Fed wanted to sent signals on the path for rising rates. There has been too much focus on "time-based" forward guidance. When will rates start to rise and when will be the next move by the Fed? Will it be this FOMC meeting, or the next one? This focus on calendar time has been to the detriment of the more important issue of data-dependence through the macroeconomic information. Data dependency is not the same as time dependency. Data dependency is still the driver of policy and not same time path. The confusion is not knowing the Fed's reaction function. It has not be well described. In the pre-crisis period, the Taylor Rule was a good working tool for policy reaction, but something different is needed in the current world. Why has there been so much monetary policy confusion? 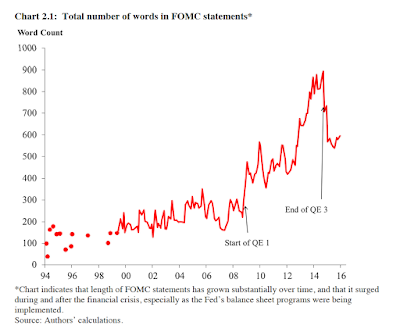 An interesting piece of information presented is that there has been more words from the Fed since the Financial Crisis, but that has not meant that there has been more information. Forward guidance is important when rates are at the zero bound, but what is said or how it is said is critical. Clearly the forward guidance took a very different tone in the post-financial crisis period. This was the period when the Fed asked about "extended periods". Currently, the language is more focused on data conditions, but there was key focus on time last fall. The move to clear data dependent guidance is critical to helping the markets understand Fed actions. 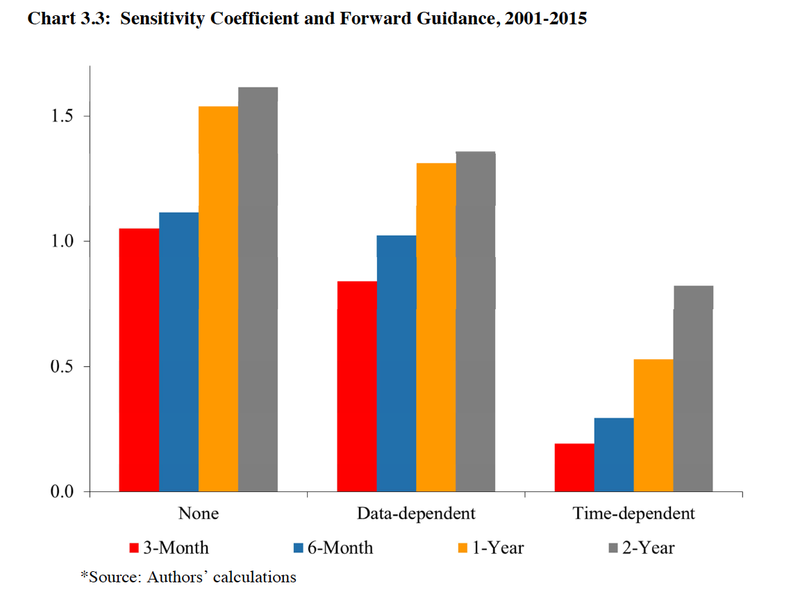 When the Fed becomes more time dependent, there is less sensitivity to macroeconomic data. During data dependent periods, the market will react more to any new information. If the Fed convinces the market that it is more data dependent, volatility around economic announcements will increase. This policy framework discussion provides investors with some very useful information on the sensitivity of yields to data and the path of risk premiums in bonds. 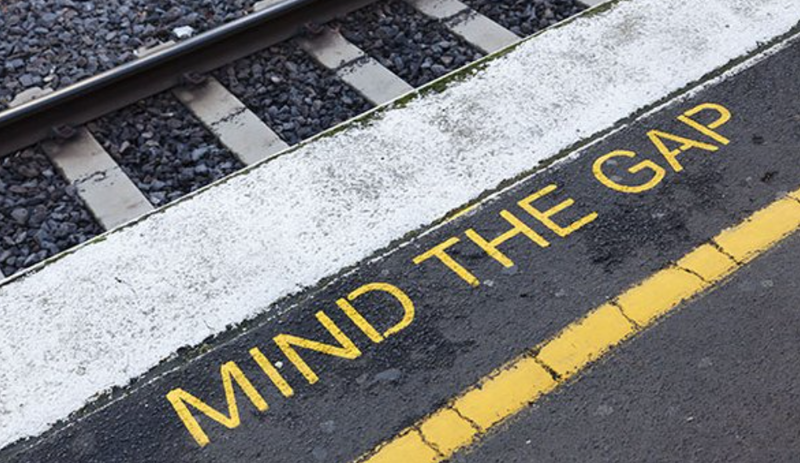 An adjustment in forward guidance focus will change how the markets look at FOMC announcements and discount Fed comments. I have been troubled by the Fed. In December, we had lift-off with an increase in rates. 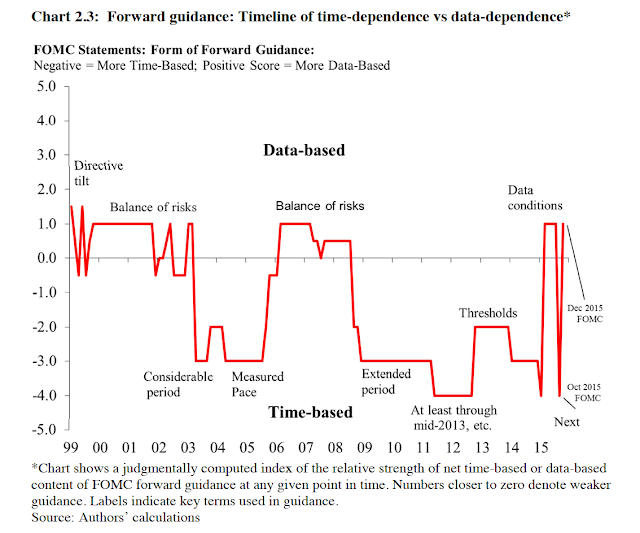 The Fed provided their forward guidance dot plots which suggested that there would likely be 4 increases in 2016. The market rates were thinking differently, but the Fed was conveying information through their language. They have also said that they are data-dependent. Given this information, the focus of investors has been to try and fit the forward expectations from the Fed in a data dependent world. The market has been trying to understand the Fed reaction function. It just has not been able to understand the Fed and this has been a problem. Now, we are in March, just three months later and the Fed states that there will likely only be two increases in 2016 based on plot information and comments by Chairman Yellen. We will wait and see. It is not clear what has happened over the last three months to labor, growth, and inflation that would shift Fed views so dramatically. Of course, we have seen the BOJ take rates negative and the ECB has continued with its policy of negative rates. The Fed is out of step with the rest of the developed world but that was already known in December. It could be that investors are putting too much weight on dot-plots, but this is supposed to be the aggregation of Fed thinking. The Fed needs to explain its reaction function and its data dependency and stop talking about when the next rate increase ma occur. Tell us your view on the state of the economy and how that affects your thinking. We know your forecasts are not very good or no better than the ret of the markets, but your reaction to information should be more settled. There is a long history of showing that tracking trends or sorting by momentum in currencies will lead to good return performance. Trends are viewed as one of the three key drivers for explaining currency returns along with carry and fundamental value. Currency returns are tied closely with the short-term interest differential or carry, deviations from fair value as measured by some variation of purchasing power parity and past return performance. The view is that fundamental models have done poorly in these markets so using price-based systems is the best way to extract returns. 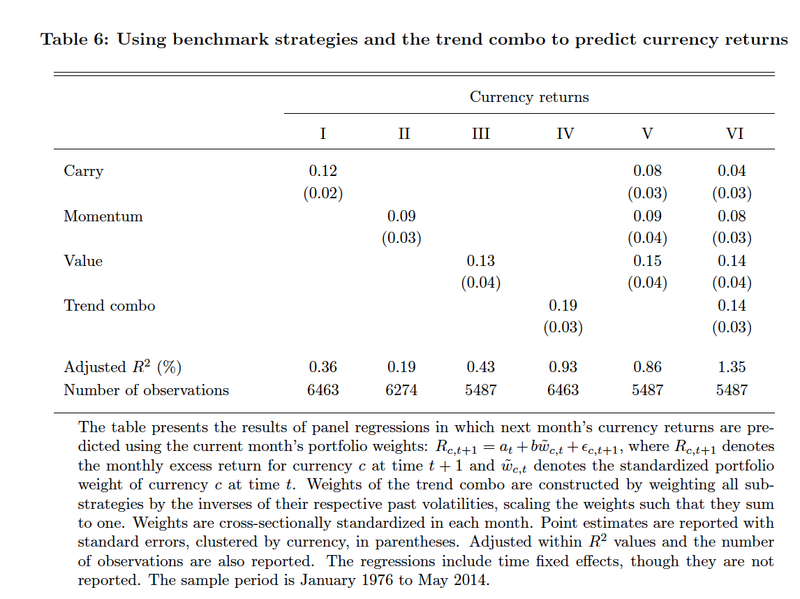 A new study shows that currency returns are tied to trends in economic fundamentals. Put simply, the trend in macro variables will lead to price trends. This makes perfect sense in the trend-follower's world, but they choose to focus on price and not worry about the fundamentals. The choice of which economic variables to follow may be problematic. Instead, prices are viewed as primal to the process. 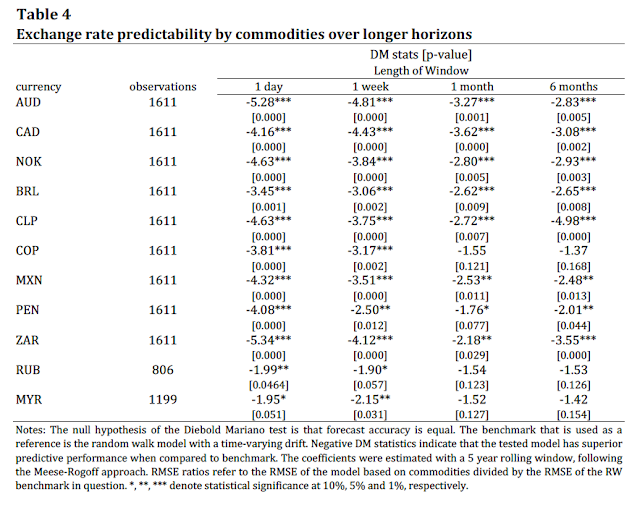 What this study does is go beyond just saying that price trends are driven by economic trends and shows that following macro trends are a unique method for predicting currency returns. See "Economic Momentum and Currency Returns" Magnus Dahlquist Henrik Hasseltoft. A trading strategy that goes long the currencies with strong economic momentum and short those that have weak economic momentum will have a Sharpe ratio close to 1. More importantly, it will add alpha even after controlling for carry, momentum, and fundamental value. Additionally, if you track the economic momentum across countries you will actual be following the alpha of carry trades. Carry trades may just represent the manifestation of differences in strong and weak economic growth. Interest differentials capture economic momentum, but if you weight or aggregate the underlying momentum in economics you may do better than following carry strategies. 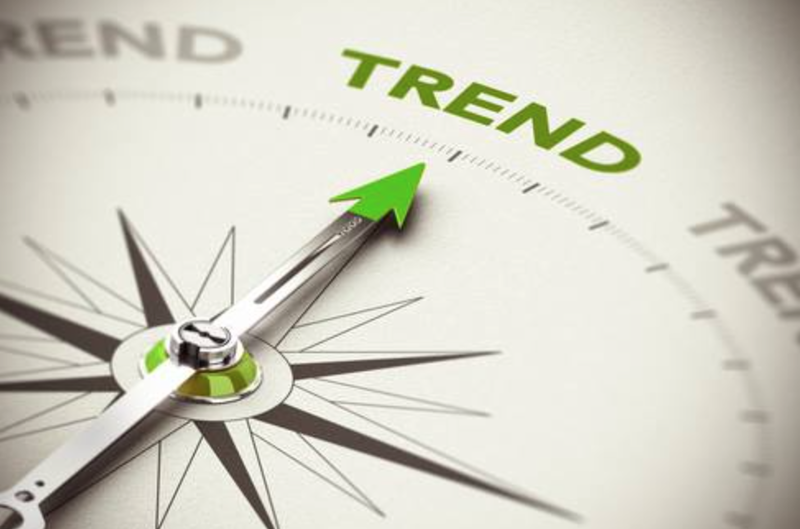 The authors find that investors' expectations of fundamentals may be extrapolative so that currency returns are a manifestation of these trending expectations. Past macro trends capture current expectations of future macro fundamentals. What the authors show is that a strategy of cross-sectional trends based on fundamentals in an effect strategy just like following prices. The numbers below show that adding a trend combination of macro fundamentals will improve prediction of currency returns. Now, the amount explained is not impressive but considering that most models have poor predictive power, this provides enough evidence for further study. 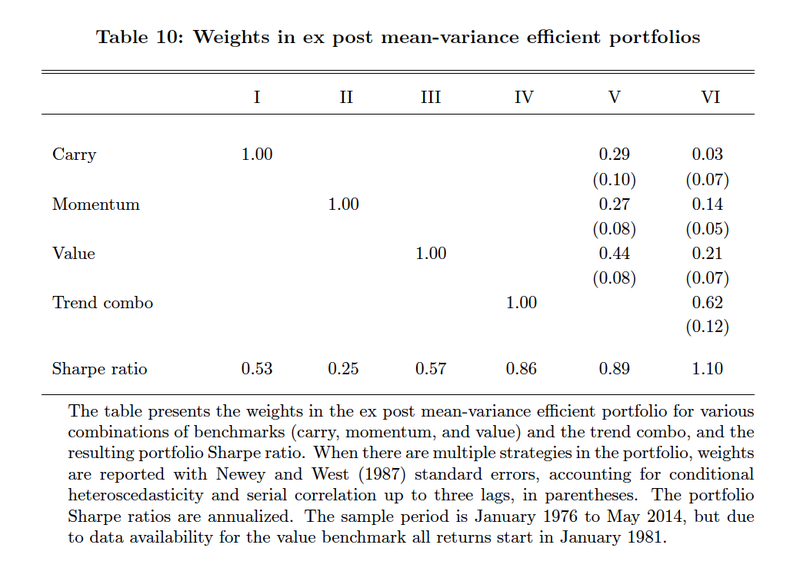 The following table looks at the weights for mean-variance efficient portfolios. 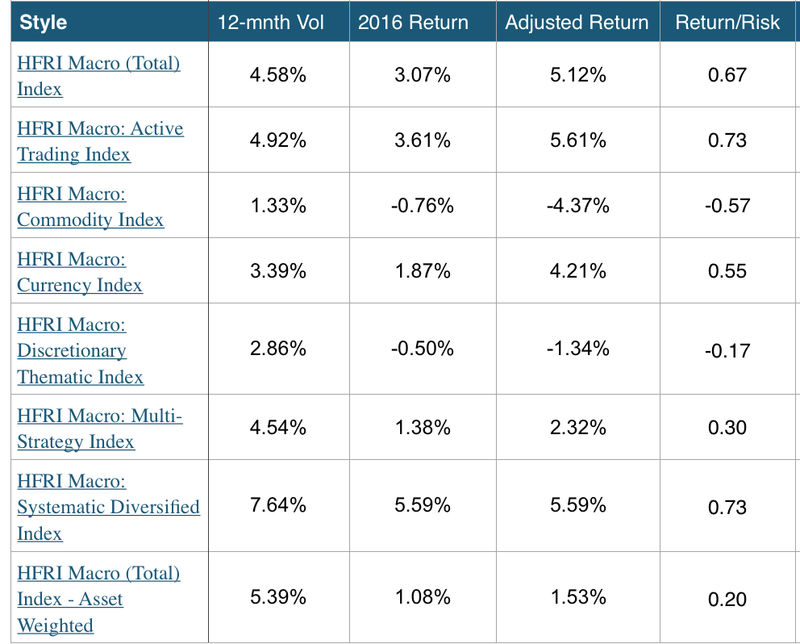 The first four columns show the Sharpe ratio for following each individual strategy. The best is the trend combo. When the three traditional strategies of carry, momentum, and value are combined they will do slightly better than the trend combo; however, if you add the trend combo to the combination of strategies you will have a Sharp ratio above one. Notice that the weights show that you will place the most exposure on the trend combo and the least on carry. The evidence suggests that using fundamentals with price-base systems will do better than price alone. 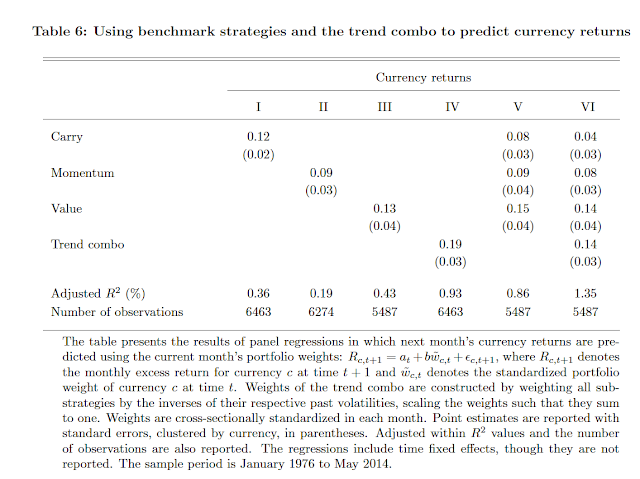 Trends in fundamentals predict currency returns and do better than some other well-established strategies. This paper provides good evidence that global macro trading in currency works and should be used by investors. The futures industry meets at this time each year to have their annual FIA Expo in beautiful Florida. It allows the executives of the exchanges, FCM's, and regulators to rub elbows and discuss the issues of the day. The FIA does a lot of good behind the scenes work for the industry, but an interesting question is the value of this event for the futures customers, the actual end users of these markets. The agenda gives little information on this value, so I thought I would list some of the issues or questions that may be important for end clients. Market consolidation of FCM's - The number of FCM alternatives are shrinking with the big firms (banks) only taking more market share. Why is this good for the industry? Market liquidity and the potential for flash crashes - A growing concern across all markets is liquidity or the lack of liquidity at key times. This concern is different than the risk management of large market moves. 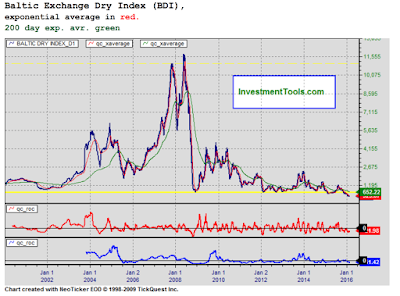 A liquidity crisis will affect the industry and keep traders away from the markets. What is the industry doing to help increase market liquidity for users? Position limits - How will these rules be determined? When there is market uncertainty about rules, everyone is hurt. Basel III and futures trading - The increase in capital requirements from new rules is making it more costly for FCM's to run their businesses. Are these capital costs appropriate? How are these costs going to be passed onto customers? Can these requirements be easily explained to customers? Fintech and FCM's - Are there disruptive technologies that are going to change the industry? Is this going to be good for customers? Market composition and futures trading - High frequency traders are a critical part of volume. If the composition of trading changes, what will happen to liquidity? The for-profit versus mutualized model for exchanges and clearinghouses - Is the risk properly priced and is the corporate organization in the best interests of the client? Clearinghouse risk and swap activity - How is the risk shared and where is the balance of power? Processing trades - What are the true costs of processing trades. What are clients really paying for with their brokerage? Appropriate safeguards for customers - Is there enough or too much regulation of FCM's and exchanges? What are costs and benefits of this regulation? State of the industry - The success of the futures industry may not be measured just by volume or open interest. Are customers better today than three or ten years ago? How can the quality of the industry be measured? Most of these questions are not new and have been part of ongoing discussions, but it still is important to focus on issues relevant for customers, the ones who pay the brokerage. Themes, issues, and opportunities often do not change from week to week, but it is important to still identify what should be the key drivers in the mind of traders and portfolio managers. These themes are often not associated with the announcements for the week but represent the bias or filter through which new information will pass through. While we have mentioned four, the RO/RO trading environment may be the most important. Volatility has fallen from the highs earlier in the year with the VIX below 20%, but that does not change the fact that an unexpected announcement or an odd policy announcement will cause a switch to risk aversion. The switches will often be short-term but violent which leads to both trading loses and opportunities. 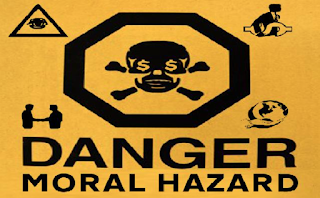 Is there moral hazard with CTA's? That is, do CTA's change their risk behavior to increase their chance of an incentive fee at the expense of investors? If you read the new paper, "Risk-taking behavior of Commodity Trading Advisors" by Li, Jiang and Molyboga, the answer is clearly yes. Investors will bear the consequences of a manager's risk choice, albeit the impact is based on market conditions. There has been research on this topic with other hedge funds, so the authors focus on the behavior of CTA's. Since incentive fees are a call option on performance, there is an incentive to take on more risk when a fund's performance is out of the money or below the high water mark. This will increase the chance that you will hit the target for incentive fees. Of course, the investor will benefit from the higher performance, but he will have to take-on higher risk that would not occur if the fund was at a different point in the performance cycle. The authors look at a large set of CTA's over a twenty year period and find some very interesting results. They conclude that risk shifting behavior is less likely for managers who are systematic versus managers who use discretionary decision-making. The system guys do not generally change their behavior to hit incentive fees. They would have to change their models. The authors also find that behavior is very conditional on the market environment. Studies of mutual funds have suggested a potential moral hazard problem in the second half of the year for managers who have underperformed. This is without incentive fees. For the CTA group, managers will increase risk following poor performance when there are low managerial survivorship concerns. Put simply, if you are manager who is underperforming when the rest of the market is doing well you will take on more risk to hit performance incentives. If all managers are doing poorly so there is strong managerial survivorship concerns, a manager will not take on extra risk to hit incentives. When everyone is doing poorly, you just try and protect the firm. Relative performance or a manager's view on survivorship matters with respect to their risk-taking. Generally, investors have to understand that manager respond to incentives and want to maximize their revenue. They will adjust their behavior to hit their incentives though taking on more risk regardless of what they say in their marketing material. 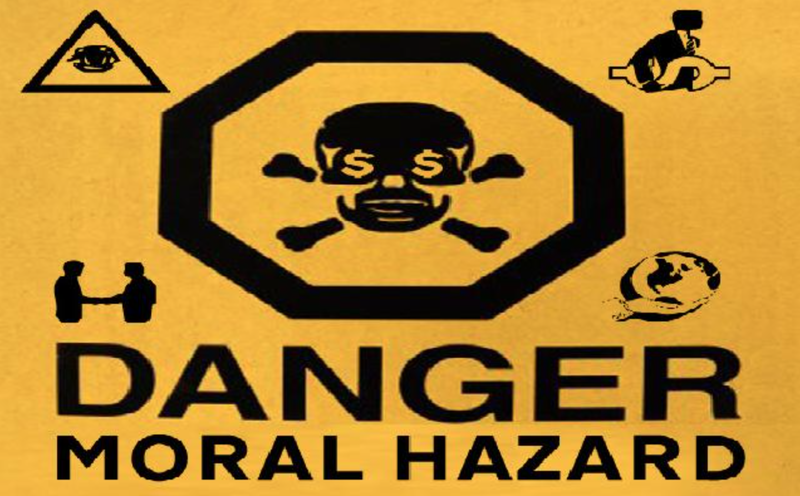 Watch managers closely, there is moral hazard. The question is often asked, "What do I need in my portfolio?". The answer is usually long-winded with deep discussions about asset classes, factors, securities, and risk. 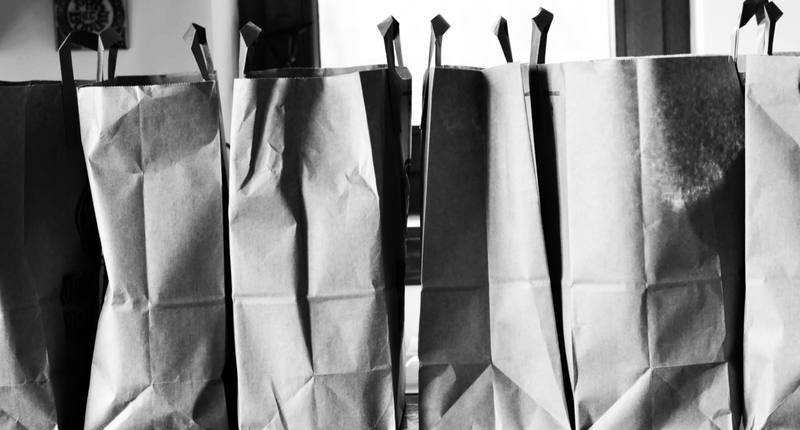 I think we can make it easier by putting the discussion in a BAG - focus on three things: beta, alpha, and gamma. If you can keep it simple, it is more likely you can get a better portfolio mix. 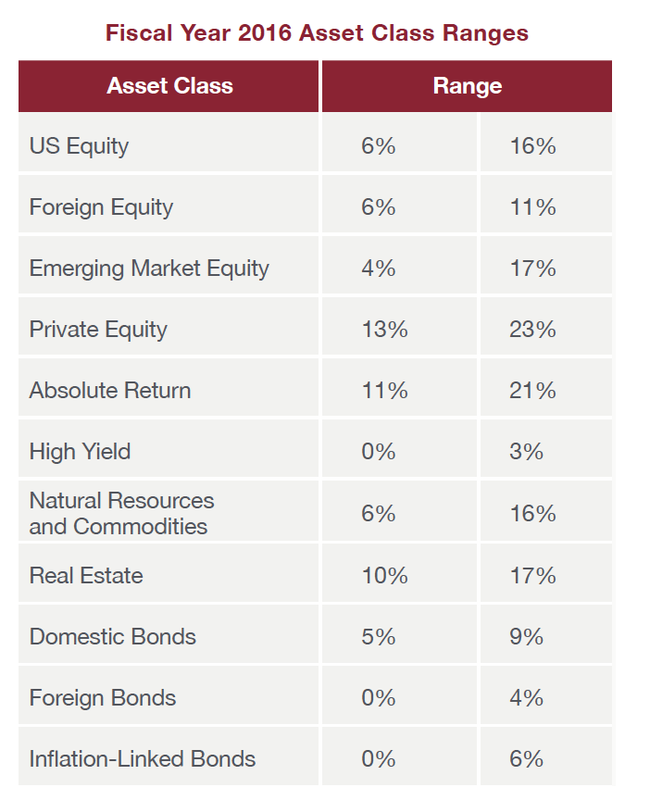 BETA - exposure to the major asset classes. This exposure is where most risk will be in a portfolio. Beta exposure is not immutable. It can be dynamic and adjust to market conditions. Static beta may be the greatest risk to performance. The beta exposure can be gained cheaply through indices and ETF's. Investors should not pay-up for beta because there is no skill in obtaining it. Beta exposure can be gained through traditional investment managers. ALPHA - This is the return that is unrelated to beta, non-market risk. It could strategy or manager-specific or it could be related to extracting risk premiums not found in market exposures. This risk could be gained through classic hedge fund managers. 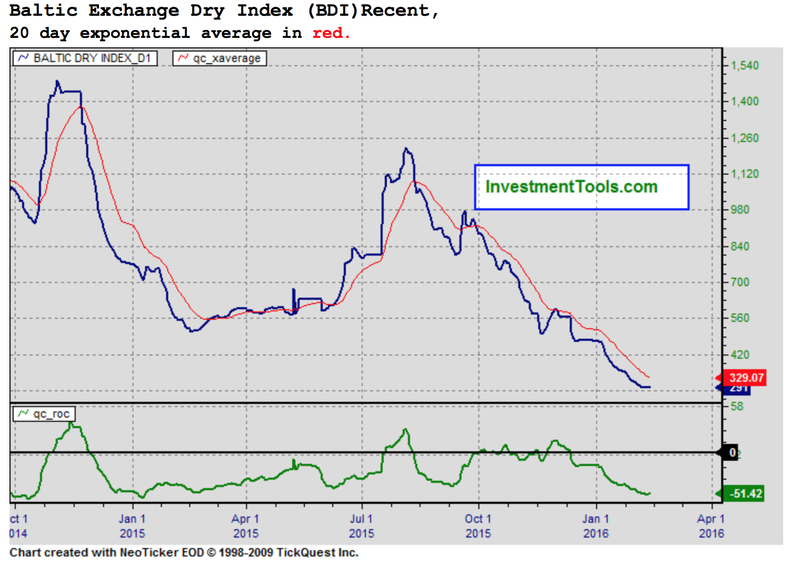 The risk will usually be lower than outright beta exposure. More alpha is usually at the expense of beta if not explicitly managed. GAMMA - These returns that are related to convexity. It could be strategy specific or through some structure like an option. Gamma exposure can be gained through global macro and managed futures or volatility traders. Investors should always be looking to add convexity to a portfolio. The approach is simple. Measure your three sources of return and determine whether they represent what you want in the portfolio. Investors should be able to describe how these sources of return will be generated and how much should be gained and at what cost. Sorry for the pun, but investors will bag performance if done effectively. The Family Office Association issued a white paper called "Improving the "Endowment Model" Recipe". This is a provocative piece because it takes aim at what has been key thinking on long-term portfolio management through the Yale endowment model. 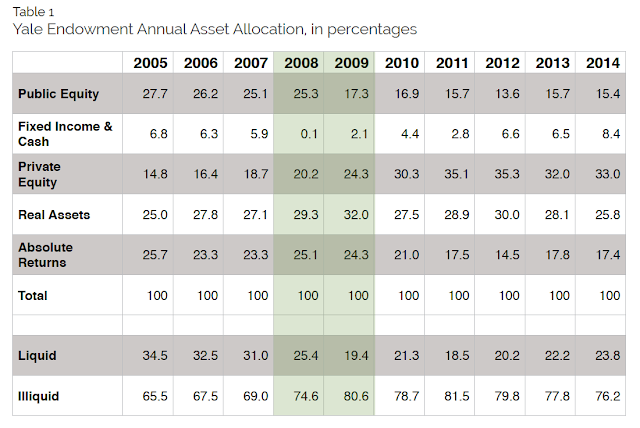 It focuses on what is still the key driver of portfolio performance - asset allocation. Their premise that there is a difference between using a recipe which employs different proportions of ingredients and the use of superior ingredients. Their argument is that if you want to have a better stew the recipe matters more than the ingredients. Added return through selection of skilled managers. The result for those who have followed an endowment model are risk exposures not closely tied to economic growth. 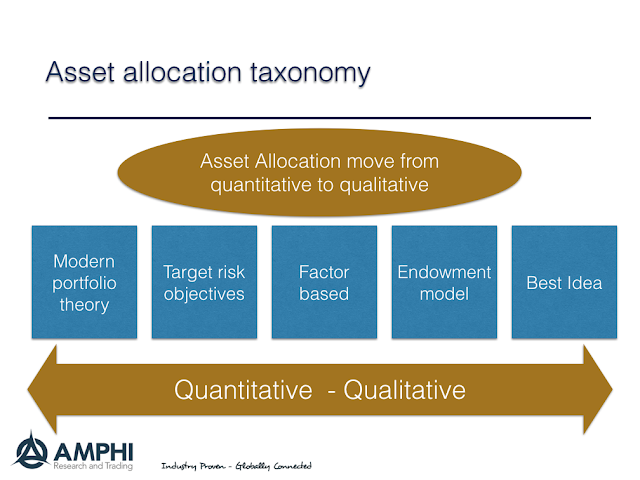 For those who use the Yale model there is little change in asset allocation. Changes in the target allocation are not made because of asset allocation action but because of external forces. There is too much focus on equity-like investments with less understanding of what is owned. There also is too much time spent on finding the best managers at the expense of asset allocation decisions. Simply put, the recipes are very much alike for those who use the endowment model. 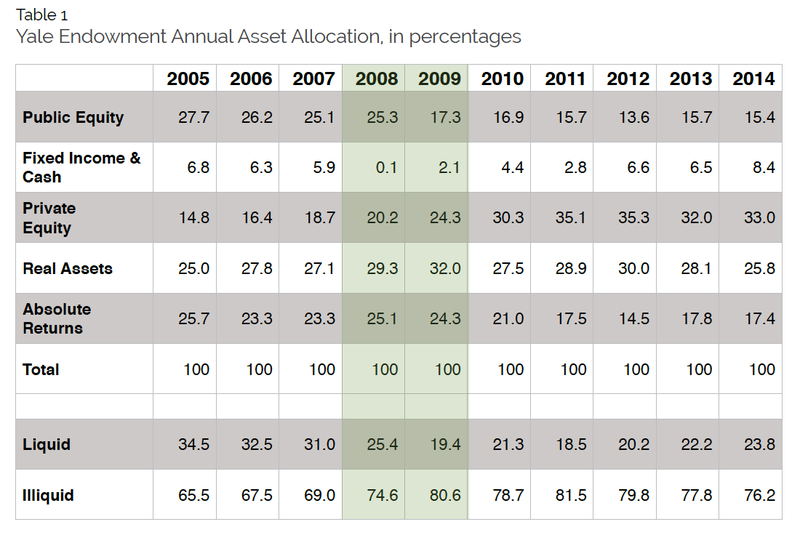 The first table shows the allocations for the Yale endowment. They do not change that much. 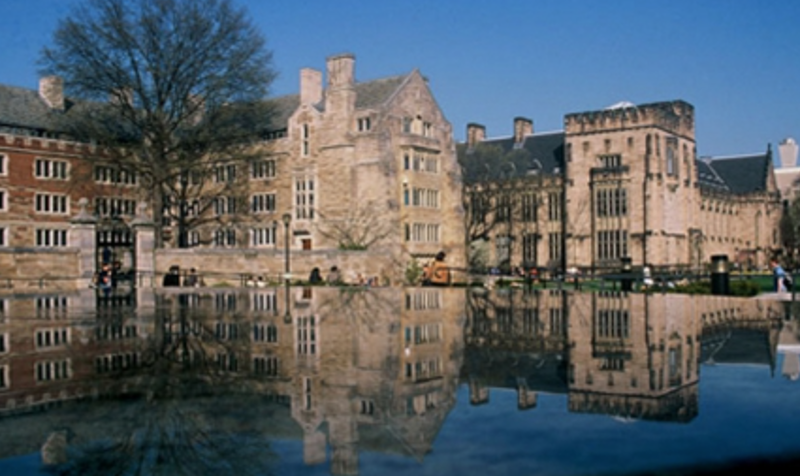 Of course, Yale University can think about the very long-run, but for all of the changes in valuation and risk over the last decade, the portfolio is very stable. The average endowment is actually very close the traditional 60/40 stock/bond portfolio mix. The average endowment is very traditional. 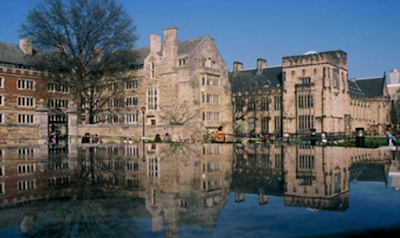 Looking at the Yale endowment, the authors find that it is similar to a 85/15 stock/bond mix which is consistent with their focus on more equity-like returns; however, the endowment also took on a similar level of risk. What the Family Office Association suggests is a greater focus on core asset allocation decisions. Their approach is to focus on a recipe of greater emphasis on asset allocation over manager selection, a reduced dependency on equity risk, and more liquidity. The extra liquidity can be used to be more flexible and opportunistic. 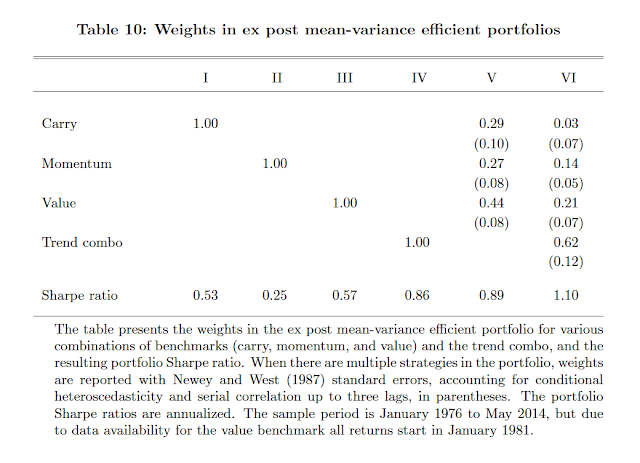 This is consistent with the movement to more factor-based portfolio management. Certainly, research has shown that asset allocation decisions dominate security selection. In this case, asset allocation should dominate manager selection. Get your betas right. Unfortunately, some of the focus on manager selection. stable asset allocation, and more equity-like returns is related to the fact that many portfolio managers have not been very good at getting their asset allocations right. Of course, if you can avoid "bad" states when there is a recession you will be a hero. Unfortunately, few are good at taking risk off the table at the right time or putting it back on during the depth of the gloom. We believe this focus on asset allocation is the reason for global macro and managed futures. 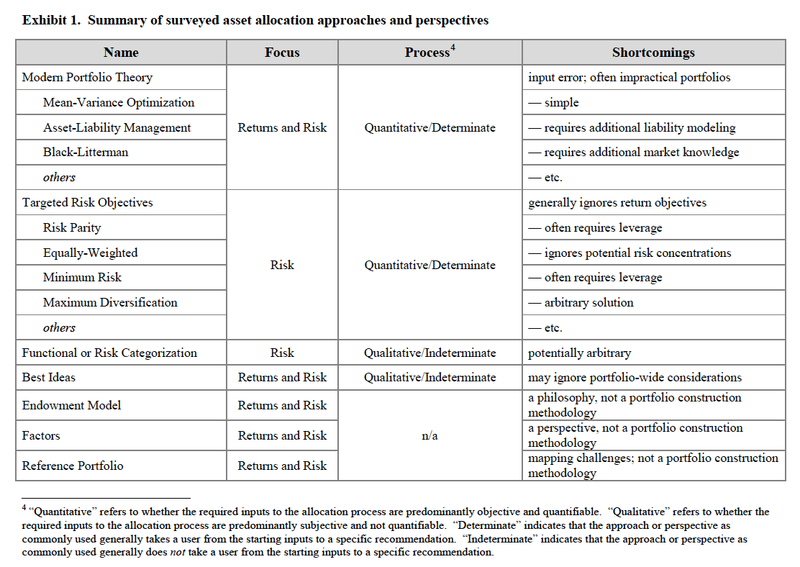 These are the strategies that emphasizes asset allocation and major bets, not security selection. Get the betas right and you will create a positively convex return stream. New Zealand dollar action is a canary (kiwi) in a coal mine. The central bank lowered rates by 25 bps to 2.25 percent which led to an immediate sharp currency decline. The currency has bumped up against a ceiling over the last few months and is now back in the middle of its range since the fall. 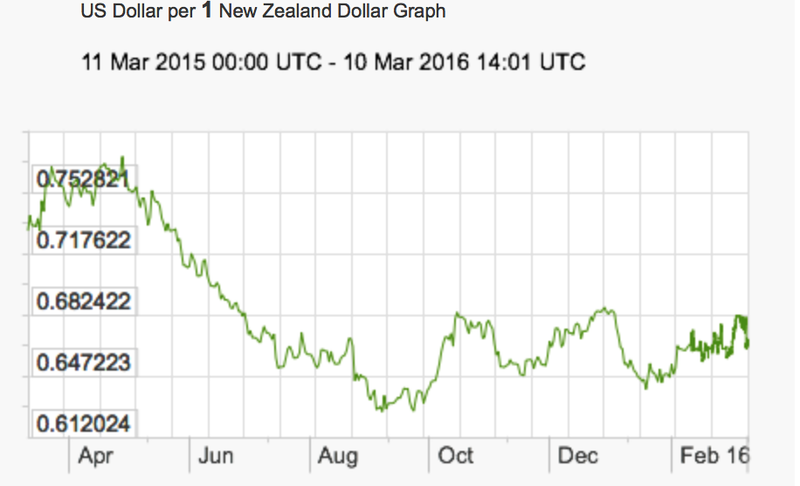 Last spring and summer the NZD was declining based on potential Fed action. As a small open economy that is tied to commodities and Asian trade, the NZD cannot afford to have an appreciating exchange rate. Interest rate action will have an immediate effect on exchange rates. The currency had appreciated about 4% since projected at the central bank's December policy meeting. Lowering rates is just a further sign that open economies have to take action versus the negative rate countries or face declining exports, rising currencies, and slower growth. The negative rate countries like Japan are exporting their deflation problems to the rest of the world. New Zealand just acted in a manner that will become all too familiar with other smaller exporting countries. When trade goes up, there is more demand for shipping. Of course, if there is an over-supply, the rate can still fall even on more trade. Nevertheless, a simple look at shipping rate charts tell you this is a market that is not anywhere near the old equilibrium. 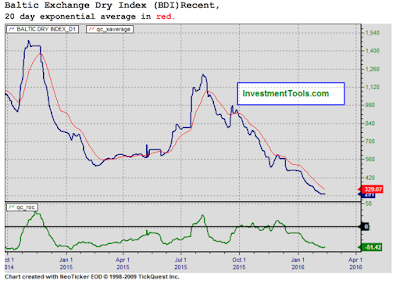 This just reinforces the commodity story that the super-cycle is over and trade is not growing at rates any near what shipbuilders may have expected. Shipping rates seem to have flat-lined since the pre-Financial Crisis environment. However, the variation at these low rates is significant. Clearly, rates have fallen with oil prices. 100% gains and more than 50% declines over a six month or less period are not unusual for all ship sizes. It is not clear that rates will immediately rise with oil prices since some tankers have been used as expensive floating storage. Shipping rates are sending a signal and it is not trade friendly. The Economist noted the challenging environment for hedge funds last month. New launches are down and liquidations, albeit down are similar to the launch levels. The net number of hedge funds outstanding is not growing quickly. Small funds are having a hard time surviving or starting. Seward and Kissel released their 2015 New Hedge Fund Survey with some interesting insights that reinforce current trends. The focus of most hedge fund launches is still equities. For all of the talk of alternatives, many managers and investors still want to pick stocks. Fees are coming down slightly with new firms offering size and founder discounts. What is more interesting is the continued demand for lock-ups. There seems to be agreement that it takes time to grow so managers are asking for sticky money and investors are willing to accept these terms. New launches seem to require more "seed" money to help start funds. While size of start-ups was not a focus on for survey, it seems that growing hedge fund businesses will take time. There is no easy money in the competitive hedge fund industry. The global macro indices generally posted gains for February but have not done as well as managed futures. However, the discretionary thematic and commodity traders have gotten it wrong this year. Of course, this is a representative index and not how all managers have done. The graph is suggestive of the difference in risk-taking between different strategies. 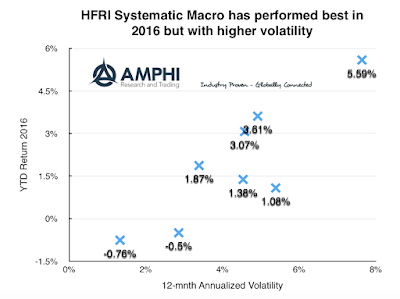 Plotting the return and risk of all the HFRI macro indices shows the good performance of systematic strategies. The Barclay BTOP50 and SocGen CTA indices have done even better than the systematic index by over 150 bps. 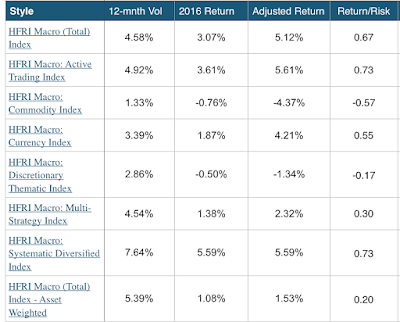 The next best strategy, active trading, generated similar risk-adjusted returns and information ratio but had lower volatility. The adjusted returns are increased or decreased relative to the volatility of the systematic macro index volatility. If the volatility is 30% less than the systematic volatility, then returns are adjusted up 30%. Generally, we find that the directional trading of managed futures will be more volatility than the average macro trading strategy. In good return environments this translates into higher absolute returns and good information ratios. 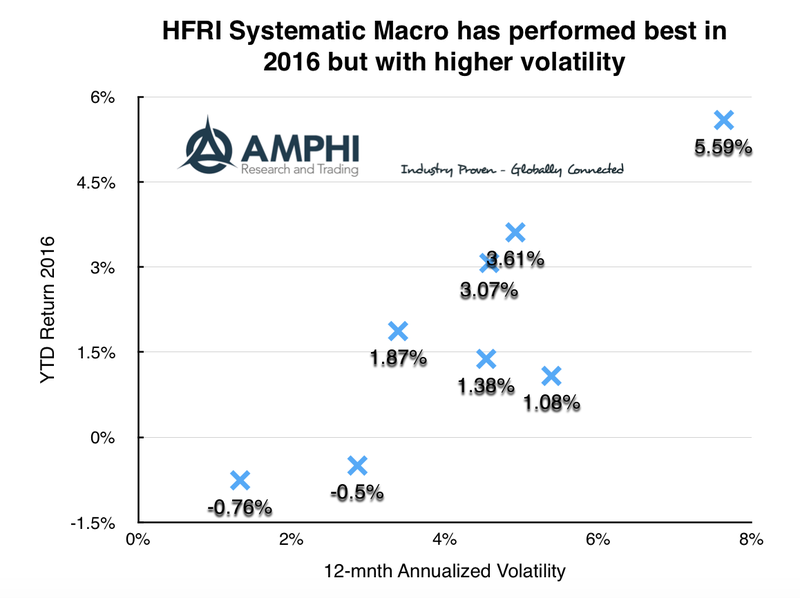 In down environments or flat performance periods other macro styles may do better because of their lower volatility. Both provide unique diversification but managed futures, given the higher volatility, will provide more diversification per dollar of exposure or dollar paid in fees. One month makes a big difference. We have gone from a hugely negative equity environment, oil crash fears, a credit downturn, and Fed policy mistakes to strong equites, an oil rally, and less credit risk. The economic environment has not changed radically, but when risk appetite changes the asset markets around the world change. Can this last? This will be the number one question for March. We think there are still major headwinds to stop a sustained rally, but data change and markets change. Nevertheless, there needs to be confirming economic information to sustain the current rally. Hedge fund skills are dependent on the economic environment. There are more hedge fund managers who show skill during the expansion state of the economy over recession periods. If you want to hold the truly exceptional managers, you will look for those that do well in both expansion and recession periods. 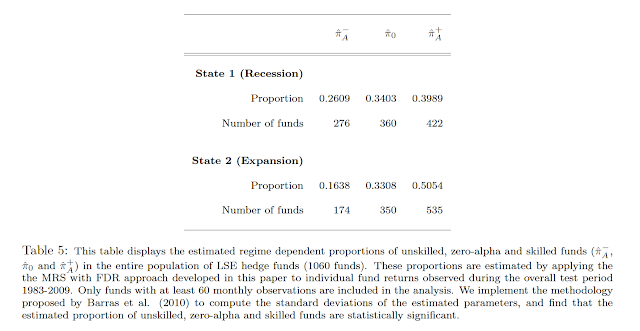 The paper, “Measuring Hedge Fund Performance: A Markov Regime-Switching with False Discoveries Approach” by Gulten Mero provides a different take on measuring hedge fund manager skill. The work uses some advanced econometrics to look at skill behavior in different states. The author looks at only one hedge fund style, equity long/short, but it does provide a good framework for thinking about skill in different environments. There are more alpha producers during the economic expansion. The skill producers decline by about 20% in a recession. Unskilled or no skill managers increase to over 50% during a recession. Recession will be associated with market declines and usually the market inflection point. Stock markets usually start to decline before recession and reverse near the end. 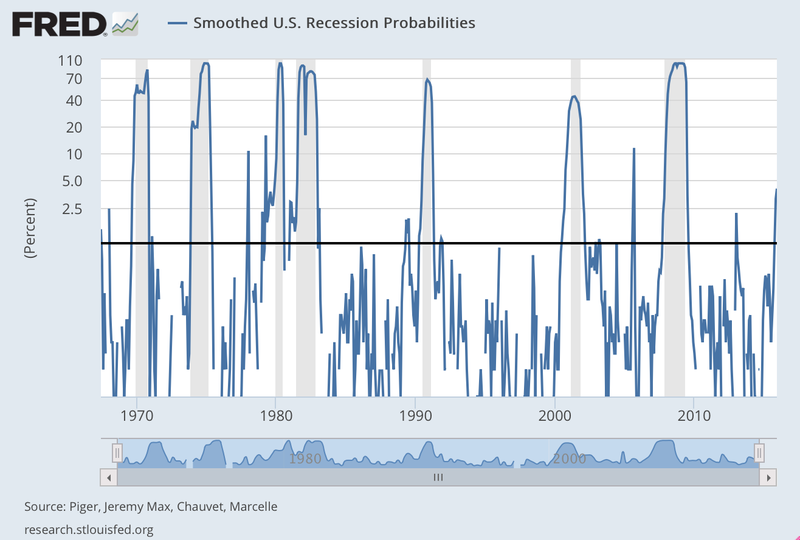 Volatility will be higher during recession periods. Hence, it takes more skill to navigate these uncertain periods. As Warren Buffet has said, "You only find out who is swimming naked when the tide goes out." The market has shown new strength on slightly better economic data, increasing oil prices, and continued increased monetary liquidity, but care should still be taken with taking on more equity risk. First, the threat of a recession albeit low is much higher than what we have seen in years. 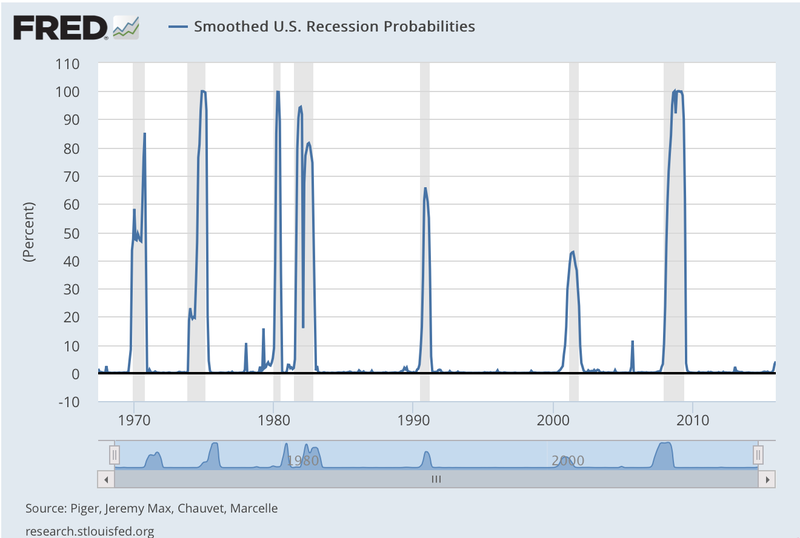 I have taken the St Louis Fed recession probability model estimates and changed the values to logs. This will place more roughness in the low probability numbers. It is nice way to look at the marginal changes in probabilities. The readings are certainly not close to Jim Rogers "100%" recession comment this week, but the threat is real and certainly more than what we have seen since the last recession. Second, I look at the financial stress indices produced by different Fed banks. 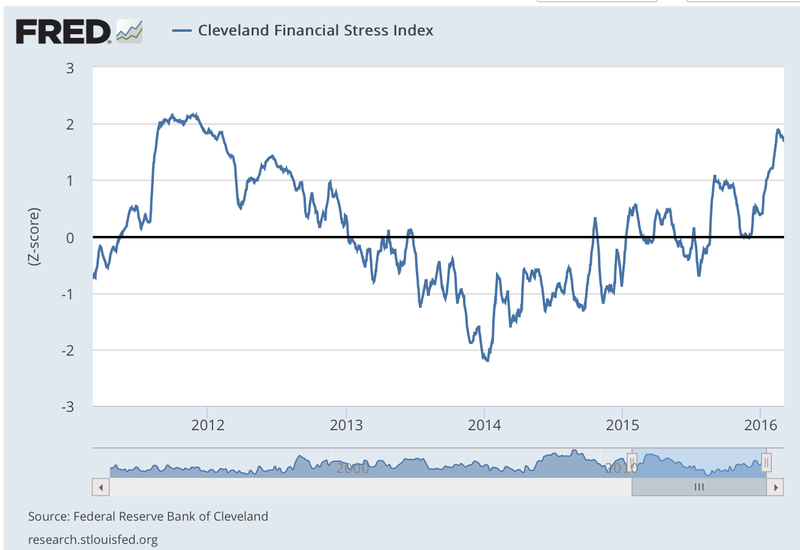 Below we show the Cleveland Fed numbers. That number shows a heightened level of stress although it looks like we have reached a local maximum. Financial stress is subjective and not part of the Fed's policy mandate but if the Fed is interested in systemic risk management, it should be watching these numbers. 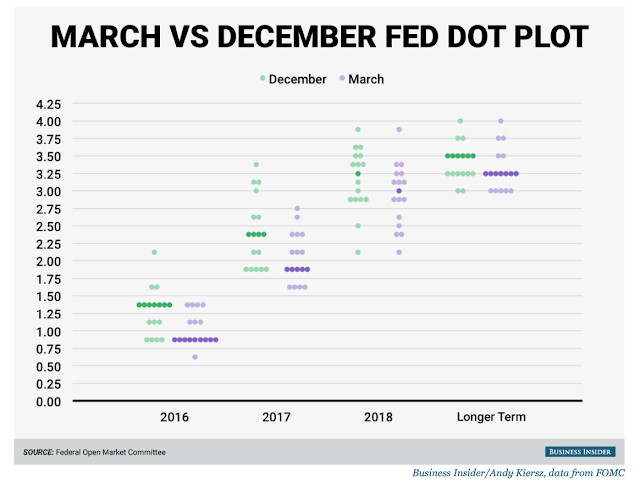 The Fed is likely to err toward caution on any March action. This expectation has been good for the stock market, but expectation that we will see any above trend growth in the US should be tempered. Making any major allocation changes based on the idea that a slight policy delay is strongly equity positive is also dangerous. Where do hedge fund investors want to put their money? 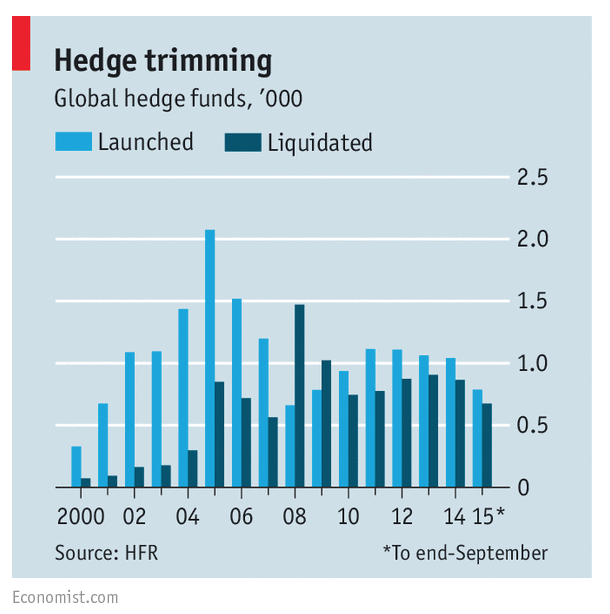 The demand for hedge funds continues. The recently released 2016 Credit Suisse hedge fund investor survey shows that over 80% of investors plan to maintain or increase their allocations to hedge funds this year. 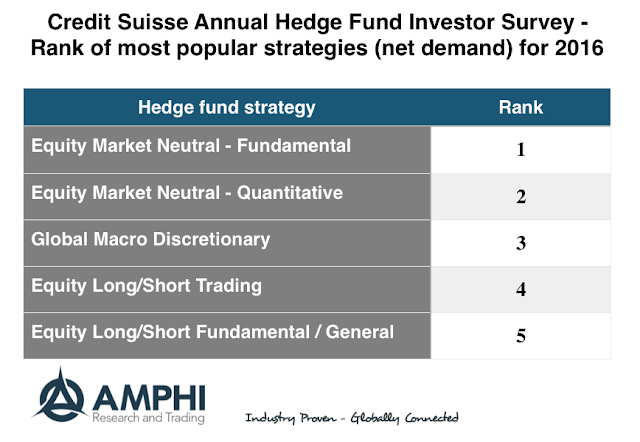 The survey also ranked the most popular hedge fund strategies as measured by their net demand. Equity market neutral filled the top two spots and equity long/short grabbed two of the top five positions. The only strategy that was outside of equity trading was global macro discretionary. I find this very interesting because equity market neutral is really an attempt to gain the risk free rate of return plus alpha. We know the risk-free rate is still hovering close to zero, so you need to chase alpha. More money will be looking for the same set of opportunities. Markets may not be efficient, but we do know they are competitive and that easy market entry into an inefficiency will drive excess returns lower. The only reason to invest in market neutral is that you believe that there will be growing alpha opportunities that will match or exceed the extra cash moving into this style. The long/short equity strategies are trying to do the same thing but with some variable beta exposure. You get the risk-free rate of return plus some beta and any alpha the manager can find. It is like holding equity plus cash in proportion to the amount of beta in the portfolio plus alpha on the equity trading. You may argue that is not the case, but it may be a close first approximation. What are you really buying with hedge funds? Put writing? Most hedge funds have pay-offs similar to put writing. Managed futures and global macro will give you something different - divergent trading which produces positive convexity. It seems odd that at the current high level of uncertainty most investors want to stay close to the comfort zone of equity trading.